Luca Badoer returns to the F1 grid after a 10-year absence this Sunday at the European Grand Prix in Valencia, hoping to turn a Ferrari season that has so far been at turns boring, nerve-wracking, and temporarily exciting into something that befits its championship pedigree. 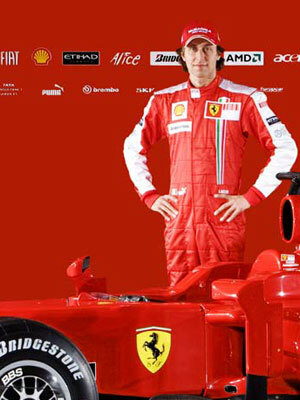 He will be The Sub's sub, the one who's loyalty to Ferrari has been finally rewarded after erstwhile Felipe Mass super termp Michael Schumacher canceled his much-ballyhooed F1 return. Massa, still recuperating from his nasty injury, has vowed to return in time for his home grand prix in Brazil on October 16. This will depend though on the results of his weekly tests. Up to now, reports say he still doesn't remember anything from the horrible crash that happened to him in the Hungaruan GP.